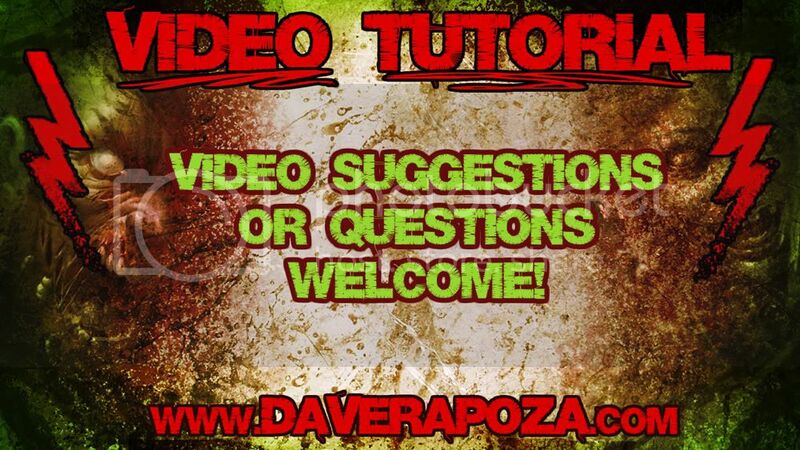 Dave Rapoza: Applying Textures in Photoshop Video! Applying Textures in Photoshop Video! Hello everybody! Just wanted to post this video up today. Its a really easy way to apply textures in photoshop while maintaining your values. Hopefully it can help some of you out! I'll try and make some more video tutorials soon, got a good idea of what to do next. But as always if you have any questions or suggestions feel free to leave a comment below! I'll try and address them next time :). Please click here and view the video in HD! Heres some classic obscure NWOBHM! Traitor's Gate! whats ur take on artist who found a style and never evolve? they have careers but they never get better because of their style..
i'd like to hear your thoughts about them..
As always great post! I find your videos to be extremely helpful as I am a fine arts college student taking a new media class, and I don't have very much experience with Photoshop. So I just had a few more questions, first why do you always use that brush shape on all of your videos and what are the plus and minuses with using it? Secondly do you use a mac or a pc for your art? Thanks for the suggestion... Thats a really good one to bring up! I'll be sure to address that next time. I use a pc, and I'll try and talk about this stuff in coming videos! Not sure what you mean by the brush shape but maybe i'll make a custom brushes video :). Thanks for the suggestions! Instead of a circular shape brush your bush looks to be more of a horizontal skinny oval to me. You seem to use it for both erasing and painting. hope that explains things better. Is there any photoshop tutorials for creation of magazine images?